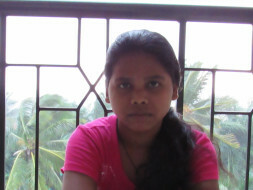 SUMITRA Luhura, finished her class 10th at the age of 16, but could not afford further studies due to poverty. She comes from a poor Luhura (blacksmith) family of Paikbahal village in Sundargarh dist. of Odisha. She is a brilliant girl and wants to become a nurse (even doctor if she can afford). Luhura is one of the socially and economically backward communities of India. Youngest among four sisters and one brother, due to poverty none of her family or even other Luhura children of the area have never been able to pursue higher education (10+2) and the girls were married off at young age. Sumitra and her elder sister (LILIMA) want to break the record. 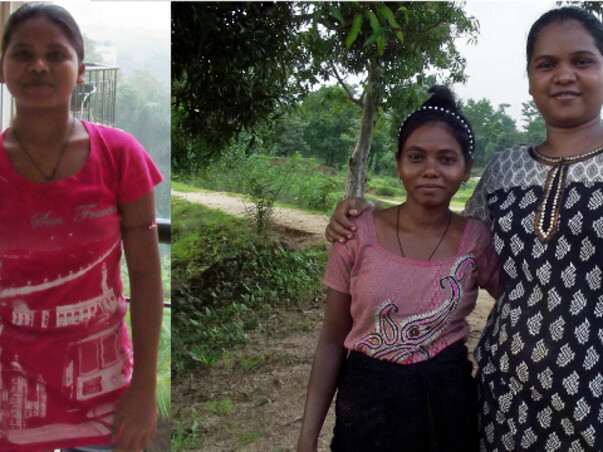 After class 10th, LILIMA went to Delhi to work as domestic help, and within 6months she earned some money and came back to village for a college admission nearby, now she is in her 2nd year (Arts). Sumitra passed her class 10th in 2014, but due to poverty her family could not afford her further studies. To make some money she also went to work in a family of doctor couple as babysitter, and earned Rs 2500/- per month, but with in 6months she return back to her village to help her sick parents. She also used all the money for her father's treatment (who is suffering with a serious chest related illness), sister's marriage and younger sibling's school fee. Her family wanted Sumitra to continue to work as domestic help to support the family. Therefore, for a few months, I brought her to Bangalore for an exposure and counseling; on my free times I taught to improve her English and other general knowledge and prepare her for college studies. In June 2015, I went to her house (we are neighbours) and completed all admission procedures, gave her some money which she used for admission fee (Rs.10,000+), college uniform & other. As there is no major source of income for her and the family than to work as daily wage labourers in other's agriculture field, Sumitra and her sister Lilima need small amount of money to afford proper food, college fees, and expenses throughout the year. Both of them hoped to get scholarship but could not avail as they were unable to get cast certificate issued by the concerned govt. offices due to no proper guidance and help from anyone. WITH YOUR GENEROUS SUPPORT, both the sisters can complete their +2 education, and further join for a nursing course. YOU CAN MAKE THEM REALIZE THEIR DREAMS WITH A SMALL AMOUNT OF DONATION. Together we can make a difference in the lives of these briliant students.